On March 6 I gave a presentation titled “Uncovering Jewish Zamora” at the La Crosse Synagogue in Wisconsin. When in 2010 I began to look into the subject of a Jewish presence in this Spanish city of the rocky northwest, crossed by the Duero River an close to the border with Portugal, I never dreamed of the results that my curiosity would lead to. 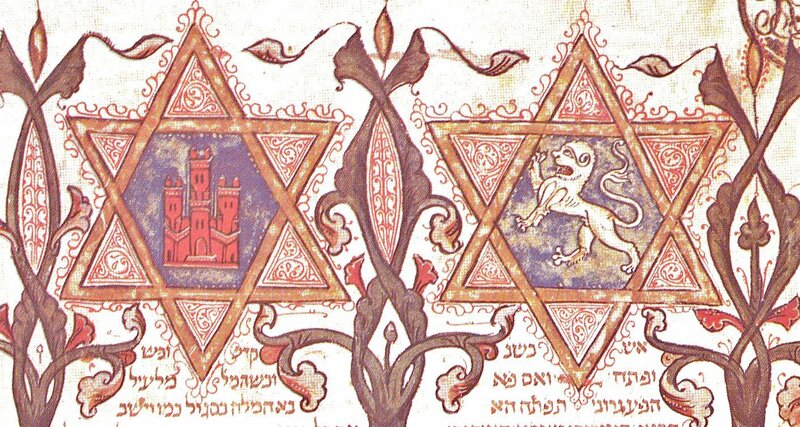 Apart from these two references which are to be found in most medieval history books which mention the subject of the Jews, there was not much more available at first glance on the Internet. This lack of information surprised me, as I personally already knew of at least one essay – dated 1992 – signed by the then-director of the Provincial Archive of Zamora, Florián Ferrero, in which bibliographies related to the Jews of Zamora are mentioned. A few weeks later I read two books which I now consider to be classics on the subject: Juderías de Castilla y León (1988) (“Jewish Quarters in Castilla and Leon”), by Guadalupe Ramos de Castro, which has a section dedicated to the city, and El pasado judío de Zamora, (1992) (“Zamora’s Jewish Past”), by Prof. María Fuencisla García Casar, which offers a historical chronicle of the Jewish presence in the provincial capital. It was through these works – which from my present vantage point I consider to be in need of editing to update the information and perspectives on the subject – that a picture began to emerge. There are other authors which also lent substance to my research: the studies of the late Prof. Carlos Carrete Parrondo of Salamanca University, and of Julio Valdeón Baruque of Valladolid University. In his book, Judíos y Conversos en la Castilla Medieval, (“Jews and Converts in medieval Castille”) Valdeón Baruque presents an excellent study of Castilian and Leonese Jews. To this Spanish bibliography one would also have to add medievalist Manuel Fernández Ladero, who has published several notable articles about Zamora and the subject of Conversos, as well Prof. Yolanda Moreno Koch and Prof. Ricardo Izquierdo Benito who have compiled several conference proceedings on the subject of Jews of Spain. 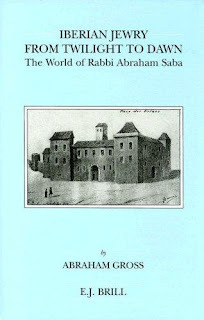 A wider bibliograhy would be incomplete without authors like the late Benzion Netanyahu (father of the present prime minister), the late Haim Beinart, and Professor Abraham Gross of Ben-Gurion University of the Negev, whose book on Abraham Saba is indispensable. When I visited the city for the first time in 2010, I was shocked by the absence of references to anything Jewish. 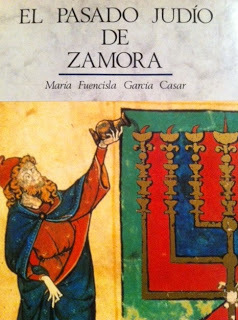 Since I have always been interested in Jewish literature and culture from Spain, and by then knew of something of Zamora’s prestigious position during medieval times, I was curious as to why this was the case. I asked a couple of colleagues and friends in the city, including a relative of mine, and some information immediately surfaced, along with various books and articles. Following a fruitful conversation with Ferrero Ferrero I decided to write a paper on the subject. When I returned to the United States I started to research further and realized that I had stumbled upon something more complex and that I wanted to devote more time to delve into it. Additionally, the project was a good reason for me to return to Zamora, the birthplace of my paternal grandparents. On that first trip I also met with Mario Saban, president of Tarbut Sefarad, in Barcelona, as well as the organization’s representatives in Madrid, José Manuel Laureiro and Anun Barriuso (descendants of Crypto Jews), who encouraged me to continue with the project and offered their help. I have to say that these three friends were originally somewhat skeptical about Zamora having a significant Jewish history. Located at the heart of Old Castile, this is a city known for its strong Catholic culture. Celebrations around saints’ days and the Virgin Mary are very common and dominate popular festivities all year long. More importantly, its 24 Romanesque churches (the largest number of any city in Europe) drive national and international tourism. So “Good luck with anything Jewish”, I can imagine my friends and local family members thinking back then. However, in 2013, together with colleagues Genie Milgrom (author of My 15 Grandmothers) I organized the first international congress on “Zamora Jewish Life: History and Re-encounters” which was covered by The Jerusalem Post and local media, and caused ripples in Zamoran society. The result of the congress was a promise by then-mayor Rosa Valdeón, to signpost several areas of Jewish interest in the city. This promise was kept at the end of the 2014 congress. Five locations, crucial to the Jewish history of a city (which until 2013 barely appeared to have any at all) are now marked by metal pillars erected by the Zamora Municipality as a direct result of the interest evidenced through the presence of these congresses in Zamora. 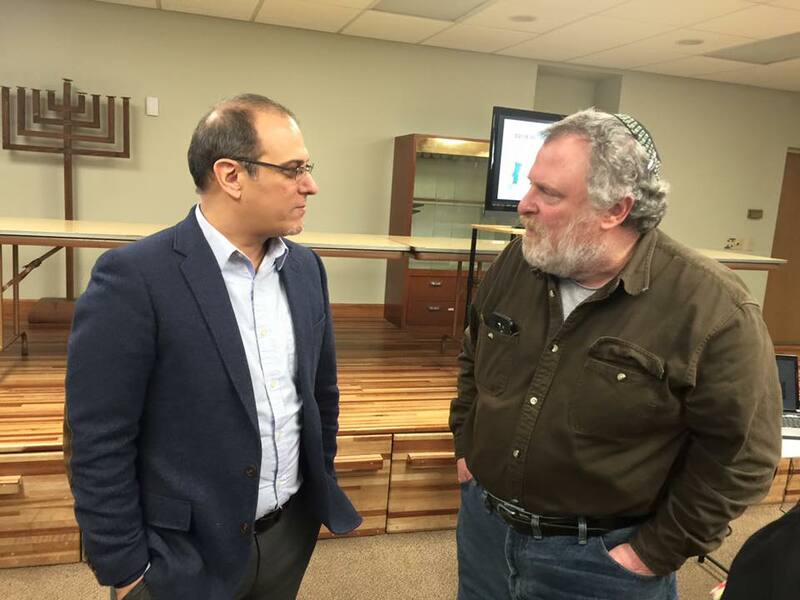 I never imagined, when I began my research six years ago, that my efforts would bear fruit to the point of bringing together increased numbers of local and international students of and experts in Sephardi culture and history every year since. Among the esteemed colleagues who have taken part in our congresses are the aforementioned Gross, New York University Prof. Jane Gerber, University of Michigan-Ann Arbor Prof. Ruth Behar and Universidad de Lisboa Prof. Jorge Martins, as well as many other experts on the subject of Jews and Sephardim from Spain, Portugal, the United States and Israel. Looking towards our fourth annual event this summer, I am pleased to note that writer Gregorio G. Olmos, author of the book Yucé, el sefardí, 2016 – winner of the XXXIV Novela Felipe Trigo prize – has agreed to be our key note speaker. We also hope to see the author of the prologues of Olmos’ book: author José Jiménez Lozano – who received the renowned Cervantes Prize in 2002 – at this year’s congress. Towards the end of 2013, and riding on the success of the first congress, the Isaac Campantón Center was created as a Jewish research center for Zamora, named after the sage Isaac Campantón (1360-1463), known as “the gaon of Castille.” The name was chosen because Campantón, as author of Darche ha-Gemara, or Darche ha-Talmud (“A Methodology of the Talmud”) he represents the flowering of the Zamoran Jewish Community in which he carried out his educational labor during the last century before the exile of the Jews from Spain. Campantón’s book was published in Constantinople (ca. 1520), Venice (1565), Mantua (1593), Amsterdam (1706, 1711 and 1754) Vienna (1891) and Jerusalem (1981). And yet, the present residents of Zamora had never heard about him until our first congress, so far-reaching was the ethnic cleansing that occurred in Spain following 1492. 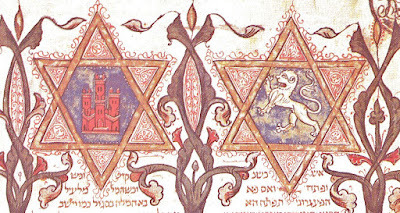 Throughout the 15th century, Zamora had attracted the most brilliant thinkers in Spain and Portugal, with Campantón being the guide of a generation and clearly responsible for the later transmission of Jewish tradition to the Sephardi Diaspora. Among his students were Samuel Valensí, Issac Abroab II, Isaac de León, Jacob Habid and his son Leví, Moshe Alaskhar, Isaac Arama, Joseph Hayyum, Abraham Saba and the well-known converso hebraista Alfonso de Zamora, among others. No other Castilian or Leonese city can count such a battery of sages among its rosta of Jewish personalities, whose influenced can be found from Amsterdam to Safed and Istambul, and from Portugal to as far away as the Americas. A large number of the visits we get on the Campanton Center webpage are from Lithuania and parts of Russia, where the work of the Zamoran sage is well-known. All of these subjects are discussed at our congresses, which have now become real “Sephardi days” because in addition to academic presentations we have offer concerts, exhibitions and guided tours of the Jewish quarters, along with Shabbat dinners that are open to all the participants in the congress, as well as to residents of Zamora who are interested in knowing more about this celebration – so central to Judaism. These meals, as well as others, which organized to introduce various Jewish holidays, are directed by Abraham Haim, president of the Sephardi and Oriental Communities of Jerusalem, a regular visitor to Zamora during the year. 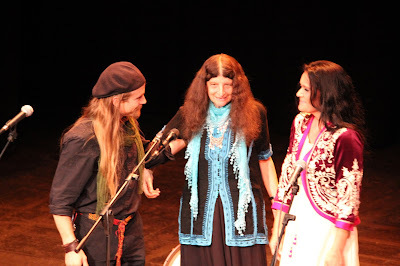 Other frequent visitors to Zamora include Canadian ethnomusicologist Judith Cohen, who has given various concerts in Zamora. She studies the Sephardi musical tradtion in the Mediterranean Basin, including the Zamoran-Portuguese region of Tras Os Montes, especiallly the area of La Raya (“the line”), as the border with Portugal is known. 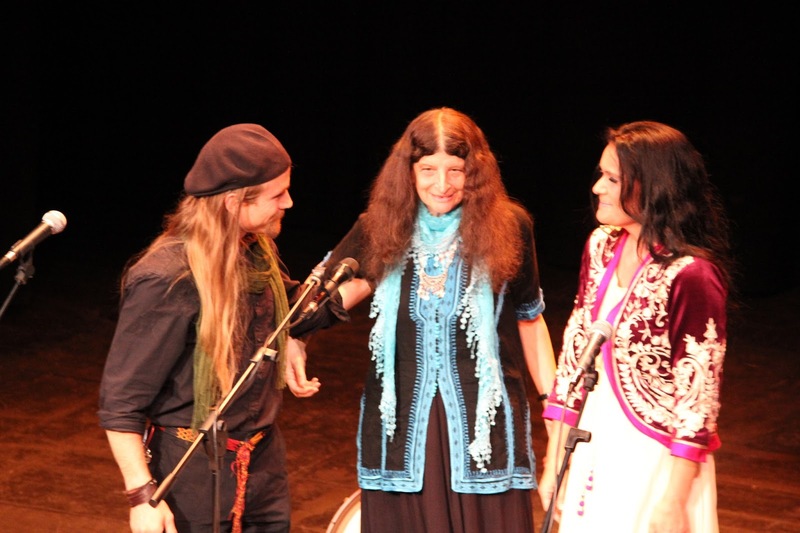 Judith Cohen (center), Mara Aranda (right) and Guy Mendilow (left) during a concert of Jewish Sephardic Music at the Theatro Principal of Zamora, 2014. The second congress, in 2014, was dedicated to this region in particular, where Crypto-Judaism is second nature in various rural communities, among them Carçao, Vimioso and Braganza (in Portugal), where thousands of Castilian and Leonese Jews took refuge in 1492. This year, in addition to the July congress, this time titled “The North of Sepharad: Perspectives and Definitions” which will take place in Zamora city, we will once again have a panel meeting at Centro Sefarad-Israel, in Madrid, on June 27 at 7 p.m. in which experts who will speak at the Congress will preview of their subjects and answer questions. On June 29, there will be a guided tour of the Tierra del Vino (Land of Wine) area, where, according to historic documents, the Zamoran Jews had their vineyards, and which today produces Protected Designation of Origin quality wines. On June 30 there will be the usual tour of the Old and New Jewish quarters: Another annual activity which attracts many locals. The congress itself will be held July 1. This year’s preliminary events will conclude with a Shabbat dinner at the Trefacio Hotel, where, as in earlier years, we hope to reaffirm the commitment to continue working for the recovery and value of the Jewish legacy of the city of Zamora.